You Want to rent on E Bike in Melbourne at very low coat $30 Per day . So Hurry Up ..Limited offer For more information You can visit :- https://merchandise.speedfood.com.au/Single_product?pid=56&mid=48&pname=E--bike-Rental. 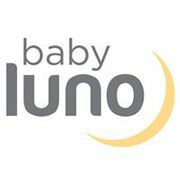 Australia's Fave Online Store for Mum and Baby. Everything you want as a new mother. My website simply pairs these groups together. I want to make it easier for all mothers to find what they are looking for by creating ONE online store that has everything and especially help small businesses reach their audience better. Louvre House is designer, manufacturer and installer of high quality Aluminum Louvers in several different profiles and many different colour. All our projects are custom designed to suit the customer’s needs whilst always using the highest quality materials and all our screens suit your unique project. Multiple Sclerosis Limited is here to support people living with MS, their families, carers and health professionals. We provide information and advice, specialist health professional support, NDIS services, employment services and wellbeing services. 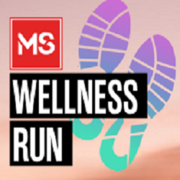 Contact MS Connect on 1800 042 138 or msconnect@ms.
Showcasing the picturesque Wollongong beachfront, the 2019 MS Wellness Run is an exciting event promoting health and wellness, whilst supporting the thousands of Australians living with multiple sclerosis. After you beat your PB in the 5km or 10km run, you can cheer our MS Gong Riders over the finish line or relax in the MS Wellness Zone, a designated area with an abundance of food and entertainment promoting fitness, health and wellbeing. Are you or your family members facing oral health-related issues? So you should be consulting from BEDC who gives the best family dentist services in Brighton east. 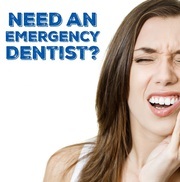 To know more information - https://www.bedc.com.au/ Office - 677 Hawthorn Road, Brighton East, VIC 3187 E-mail - admin@brightoneastdental. Hypercuby supplies innovative building products including prefabricated buildings using the latest building materials and advanced construction methods. Our mission is to provide affordable solutions to best suit our client’s needs in a fast-paced, ever changing world. At Hypercuby, we focus on enhancing quality of life and contributing to a healthier future. A lounge is one of the most used pieces of furniture, and so it is important that they are comfortable, sturdy and attractive. At Home Concepts, we showcase a wide range of contemporary lounges that offer the highest level of quality and comfort. Our customised lounges are available in a wide range of sizes to suit your space. Decorating your kid’s bedroom is an emotional journey. And so, you want every piece of kid’s furniture to be the best! Check out an exclusive and beautiful collection of kids’ beds in Melbourne at Just Kids Furniture. We have a vast online range of kid’s furniture, right from beds, bunk beds, king/queen size beds, writing desks and more. If you are Searching for Human Resources Consulting in Melbourne then Contact Greg Reiffel Consulting which is a leading Hr Consultant in Melbourne. Our Hr Consulting service will protect your business from harmful lawsuits; eliminating crippling fines, costly legal fees and brand reputation damage, through conducting professional, accurate audits, as well as metric reporting and risk profiling. BEDC provides you the 24-hour emergency dentist service for your teeth because White teeth help promote oral health and motivate a person to grant unwavering attention towards the same. To know more information - https://www.bedc.com.au/cleaning-and-scaling/ Office - 677 Hawthorn Road, Brighton East, VIC 3187 E-mail - admin@brightoneastdental. ICare Tracking number one GPS Tracking System Australian company. And know your loved once are safe with live GPS Tracking system. 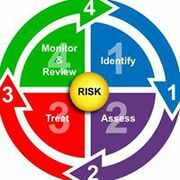 Without the need for pushing the SOS button, the authorized numbers will receive the alerts. For more info reach us here: https://icaretracking.com/product/pet-tracking/ or drop us an e-mail at info@icaretracking. 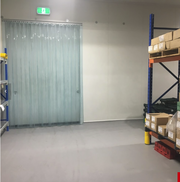 Cold cube is your one-stop shop if you are looking for cool room service in Melbourne, we specialise in the design, construction and installation of a commercial cool room, cold storage & commercial freezer for businesses large and small in Melbourne. We supply and install different size of freezers at any places, including cafes and pharmaceutical storage. Co-Lab Architects is dedicated Architects in Melbourne. Our architects are specialist in designing. We have successfully delivered our projects on time, projects areas includes commercial, residential, health and many more. For more information call us on 0425 756 708. At Ross's Quality Nuts we offer wholesale and bulk buying opportunities to customers throughout the country. We have a wide range of nuts, diced fruits and lollies all available from our warehouse that is open to the public! Visit us today! Website: https://rqn.com.au/ Phone: 03 9480 4111 Email: sales@rqn. Are you thinking of starting a new commercial business? Then Allworks Earthworks is the ultimate choice for you. Due to our a range of machinery to cater to sites of all sizes, we can ensure you that we are well-equipped to handle any task. Seeking for dirt removal? Then without taking much time and with the help of specialising machinery, we will make sure that hazardous materials and dirt will be disposed of in the safe and correct manner according to WHS standards. 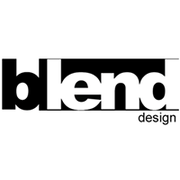 Blend Design will give you professional advice to best present your property for sale and help you achieve a greater return on your investment. We can supply all the furniture, accessories, artwork and decoratives to completely style your property. We’ll create a unique style for your property that will beautify and enhance your properties appeal and connect with a wider audience and demographic. Bluey's Boathouseis one of the best Frankston boat hire. We are serving the Frankston area with quality boat hire for over 100 years. With our 20+ fleet of boats, we have something for everyone ranging from the traditional classic boats to the modern top of the range extreme boats. We ensure you to offer not only the great time but safe time as well. Australians are using the PBS system to acquire funds for daily living. From New South Wales to the Australian Capital Territory, Australians get access to amazing offers and are taught how to promote them. Never before have they had this opportunity and now are grabbing everything they can because they know the great rewards they can gain from this program. Tower Audio is specialist for custom car audio in Melbourne. We are having an extensive range of car audio products that suit everyone. We offer various brands like Clarion, Pioneer, Sony, Thinkware Dash Cam, Uniden, Schneider and many more. To customise your car audio system based on your requirements. Melbourne ads Melbourne, All categories classifieds Melbourne, All categories free ads Melbourne, ads for sale Melbourne, ads to buy Melbourne, FREEADSAustralia Melbourne Page number 14-2. 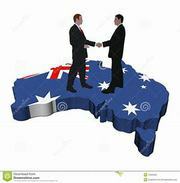 Find here ads for sale, to buy and rent in Melbourne. Goods for sale in Melbourne, vehicles for sale in Melbourne, Melbourne real estate for sale, Melbourne property for sale, property for rent in Melbourne, business ads in Melbourne, Melbourne business classifieds, services in Melbourne, Melbourne services ads, jobs in Melbourne, pets for sale in Melbourne, Melbourne dating, Melbourne cars for sale.